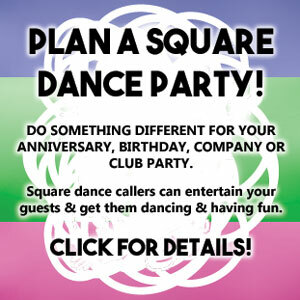 Our 2nd Annual Otonabee Squares dance/picnic will be held at the home of Howard and Jean Lander, 5109 Tower Manor Rd, Bewdley (click for a map) on Sunday July 28th, starting at 3:00pm. The party will proceed regardless of weather. In the event of rain there will be limited dancing in the garage and socializing inside. In the event of sunny weather, we have plenty of shade. The long range forecast is fine weather. Visitors from other clubs are welcome. Otonabee members are asked to bring a salad or dessert. The club will provide meat, condiments and beverages. If you plan on attending please RSVP either by email: hjlander@gmail.com or phone 905 342 5450 or to Sharon 705 743 8699. Remember too that this Monday, July 22, is our summer dance night at St. Anne’s (air-conditioned) Parish Hall starting 7pm.